Circa 1962. 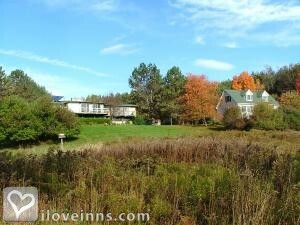 This inn is situated on a hill overlooking 50 acres with wooded trails, a spring-fed pond and meadows. 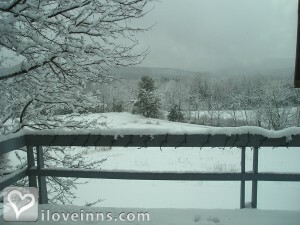 Views look out to the Berkshire Mountains. 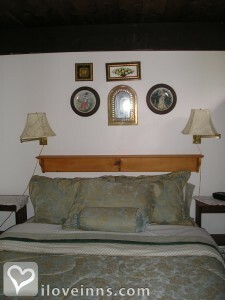 Guest rooms offer a combination of antique and contemporary furnishings, and all have views. The inn's wide deck invites conversation. 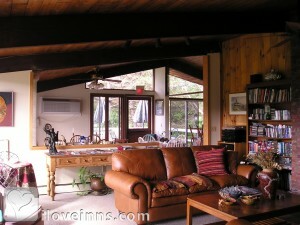 A private two-bedroom, two-bath cottage overlooks the pond. 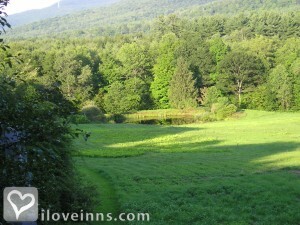 Tanglewood, Jacobs Pillow and Shaker Village are close by.Location: Country and Mountains. Payment types accepted include Master Card, Discover, Visa, Personal Checks and Cash. 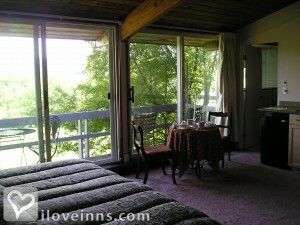 Rooms: This property has 12 total guest accommodations, 9 with private bath, 1 with hot tub, 3 suites and 1 cottage. The types of beds available include King, Queen, Twin and Double. 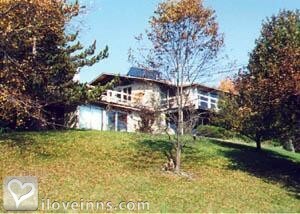 Minimum Stay Requirements: 3 nights holiday weekends in Main House and 3 nights in the Meadow House. Cancellation: One night deposit, non-refundable, five days notice of cancellation, deposit good one year. 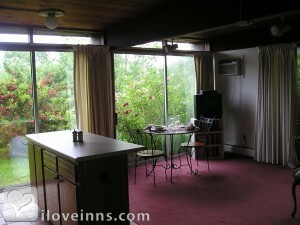 Pets: Pets Allowed, Innkeepers pets on premises, Yes, we love dogs and have 2 Labs of our own. Meals Included in Rates: Breakfast, Afternoon Tea and Wine. Types of meals: Early Coffee/Tea, Full Gourmet Breakfast, Country Breakfast, Vegetarian Breakfast, Afternoon Tea, Restaurant off Premises and Wine. Amenities In Room: Air Conditioning, Modem Hook-Up, Cable TV, Reading Lamps, CD Player, Refrigerator, Ceiling Fans, Clock Radio, Telephone, Coffeemaker, Television, VCR, Hot Tub/Spa/Jaccuzi, Hair Dryer, Bathrobes, Iron/Ironing Board and makeup mirrors. Amenities On Site: Library, Child Care, Parlor Games, Copy Machine, Phone, Fax, Fireplace, Swimming, Limited Handicap Access, Television, VCR, Laundry Facilities and DVD. Transportation Services: Train Station Pickup. 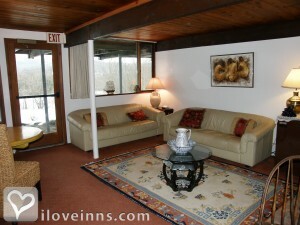 Events Hosted: Family Reunions, Meetings and Romantic Getaways. Other Activities: Antiquing, Art Galleries, Bicycling, Canoeing/Kayaking, Fishing, Golf, Hiking, Horseback Riding, Live Theater, Museums, Parks, Shopping (Local Crafts), Skiing Cross Country, Skiing Downhill, Tennis, Water Sports, Wineries, Hancock Shaker Village, Tanglewood, Shakespeare, Co. Jacobs Pillow, Norman Rockwell Museum, Clark Art Institute, MassMoca and Berkshire Theater Festival. The Pillars, Marios, Once Upon aTable. 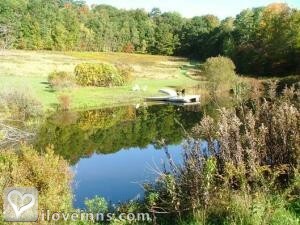 It is a traditional deck house built in the 60s on 50 acres of meadow and forest with panoramic views of the Berkshire Mountains. It has a rather interesting history.